in this order, add zucchini, green pepper, carrot, onion, garlic, sausage, tomatoes, tomato sauce, and tomato paste. add all the liquids next: broth, water, red wine. next, add the seasonings: BOP (basil, oregano, & parsley), salt and pepper, and red pepper flakes. cook in slow cooker on LOW for 7-8 hours until vegetables are soft. about 20 minutes before eating, boil the tortellini until al dente. scoop soup into bowls and then add the tortellini separately to each bowl. 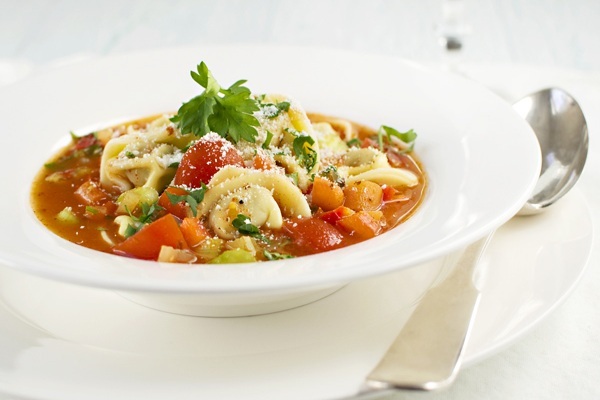 tip: store soup and tortellini separately, so tortellini doesn’t get soggy. layer 1 – mix flour, butter and pecans together. press into a sprayed 9×9 or 9×13 pan. bake for 15 minutes at 350 degrees, then remove and let cool. layer 2 – blend cream cheese and powdered sugar, add 1/3 of the cool whip topping then spread over cooled crust. 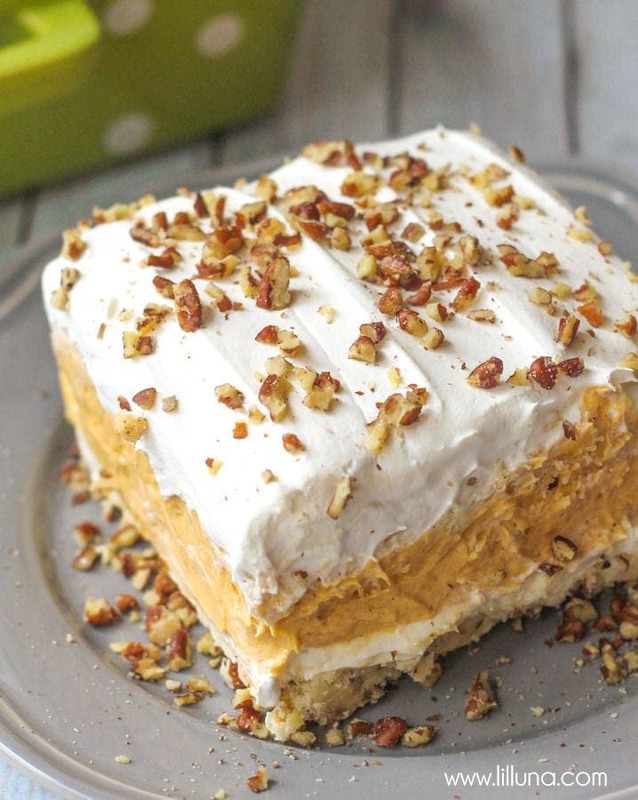 layer 3 – mix milk, pudding mix, canned pumpkin, pumpkin spice and another 1/3 of the cool whip topping until smooth. spread over top of layer 2.
layer 4 – spread remaining 1/3 of whipped topping and sprinkle rest of pecans on top. in a large saute pan, add half of the oil and heat over medium heat. add the garlic and jalapenos and cook until softened, about 3 minutes. add the red pepper flakes, tomato sauce, wine and bring to a boil. lower the heat and simmer for 4 minutes. add shrimp to the sauce and simmer until cooked through, about 4-6 minutes. add the linguine to the boiling water and cook until al dente. 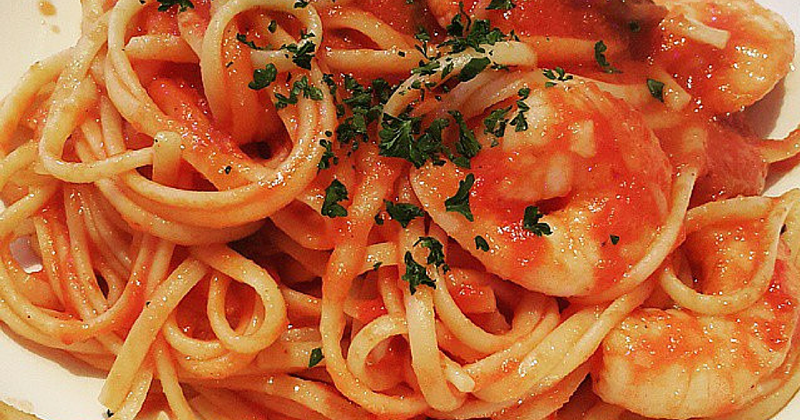 drain and toss into the sauce with the shrimp. place the pan over medium heat and cook for 45 seconds stirring to mix well. serve garnished with marjoram leaves and remaining 1/2 cup oil.